Reduces under-bonnet temperatures, increasing power and improving efficiency. 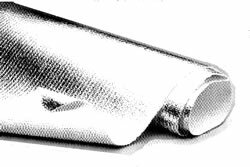 EKC622 is a glass cloth with an aluminized foil surface on one side and is available in sheet of tube form. 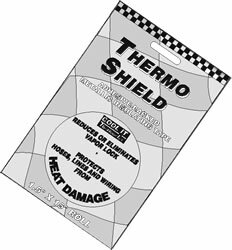 Its lightweight construction makes it a very popular heat and fire protector. Also available in Kevlar cloth (K600 series) FG 900 is a orange silicon covered sleeve which acts as a fire retardant, an insulator and a chafe protector. 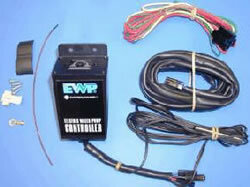 These top quality electric packages are warranted for 2 years or 1500 hours. DCFS Automatically activated mechanical switch, adj. from 80oC to 115oC, sender is sandwiched between radiator hose and outlet pipe. This exciting NEW concept offers more available engine power, better mpg, improved cooling with quicker warm up and longer engine life. It is supplied in kit form to replace existing belt driven water pumps Use with an adjustable electronic controller which supplies exact voltage to govern water pump speed to achieve desired cooling requirements. 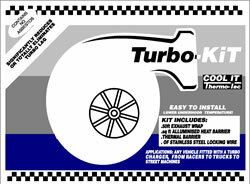 Owners of older cars with troublesome original pumps have also achieved new foundcoolingreliability.the existing belt driven pump is inefficient in that to allow sufficient circulation at low speed, the flow generated at medium to high speeds is not required and is wasteful of engine power as is the energy required to speed up a mass of water through a restrictive radiator during hard acceleration. Water circulation ceases on turn off and engines are often “cooked” by switching off after a high speed run. The water pump may be fitted in any location where it can be connected into the bottom hose, adapters are supplied to suit various hose diameters. It is not necessary to completely remove the existing water pump. 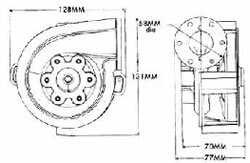 The pump pulley can be disconnected and a shorter belt used, the pump will then idle and offer no resistance to flow. Alternatively the old impeller may be removed from the shaft. Motor life 2000hrs @ 80oC. Dimensions Weight 900 grams (2 lbs). Nylon pump body with push on connections. Sealed bearing motor with magnetic drive to centrifugal pump. Performance Flow 175gals(UK) per hour, 13.3 litres per min @ 0.1 barMax pressure 0.15 bar 1.1psi. Temp -40oCto +135oCMax current 1.3 amps. 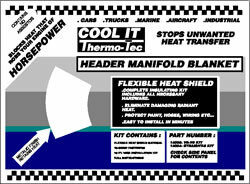 For serious competitors the ability to tailor flow will enable redesign of the entire cooling system resulting in smaller radiators with obvious advantages.For all competitors the time wasted in taping up radiators to achieve correct temperatures will be a thing of the past.